Owning the same car for 46 years can be a labor of love–or a downright challenge. This particular 1969 L68 Corvette has been in Frank Bernstein’s possession since the day it rolled off the lot, equipped with a Tri-Power 427/400 big-block Chevrolet. The retired architect–his biggest project was a position as the principal architect in charge of the five-year development of Chicago’s newest downtown Post Office–has been a lifelong gearhead with an interest in enjoying his vehicles, not watching them silently rust away in the garage. He hosted a quickie “engine rebuild party” years ago when working on the driveway concrete wasn’t so much of a distasteful task, but the tired engine was in need of attention again–not such a big deal after such a long and prosperous life. Through a relationship with local shop D&M Corvette, Bernstein found himself in contact with Borowski Race Engines, Inc.‘s Ken McCaul. Old, tired pistons and connecting rods in need of love and attention. “This is a one-owner car that I ordered brand new as a college student; I used to race it regularly in SCCA SOLO II events against the clock, in my class. As I’ve gotten older I’ve gotten out of that, but it was time to refresh the engine,” he explains. The lifelong gearhead made the decision to not only rebuild the engine, but also to make strides to “warm it up” and enjoy better performance than when it departed the factory all those years ago. “These cars appreciate based upon the rare options. This is a rare option car in that it’s a three-deuce, 400 horsepower, air conditioned, two top roadster, with factory side pipes,” says Bernstein. The never-restored car has been through a number of configurations in its lifetime, from wearing F41 suspension and wide-open sidepipes during its SOLO II days, to the more-refined reproduction factory sidepipes and standard suspension underneath today. Borowski's Newen CNC machine was used to cut the valve seats in the factory heads for improved performance. They also cc'd the cylinder heads, did some minor portwork in the valve throat area, and decked the heads to ensure flatness. The new Borowski-built Tri-Power 427 engine as installed in Frank Bernstein’s car. Looks original–except for the massive power bump, and unleaded fuel friendliness. McCaul had just the ticket to tune up the Tri-Power-equipped bullet to provide that enhanced performance–without breaking the bank, and by improving a number of items over the four-decade-old technology the engine sported when it arrived in the Borowski shop. “We wanted to make the engine reliable for Frank,” McCaul says. 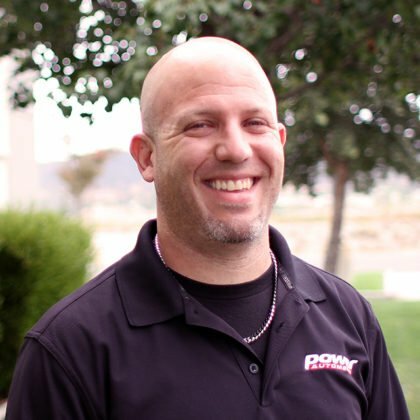 In order to do that, Borowski used tried-and-true, well-thought-out component selection to build a dyno-proven 526.9 horsepower and 512.9 lb./ft. 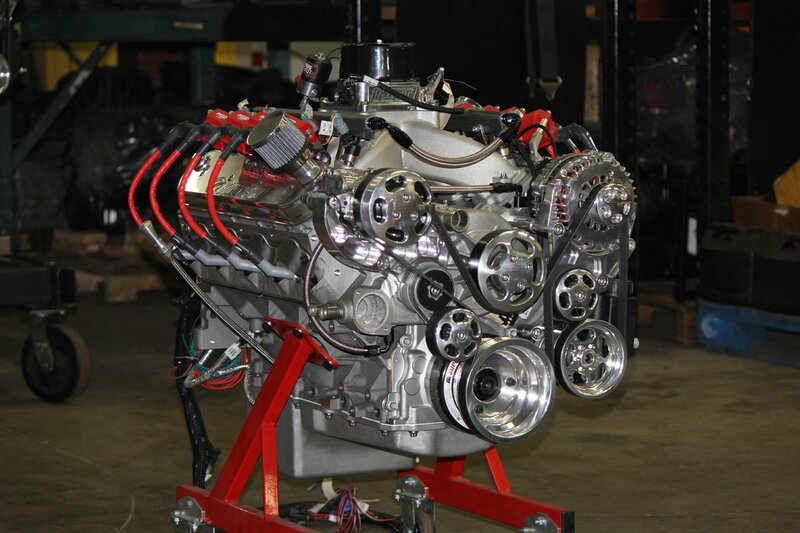 of torque while retaining the 427’s original engine block and cylinder heads. On order day in 1969, the L68 option set the engine at 10.25:1 compression and matched the oval-port closed chamber cylinder heads with an aluminum intake manifold and the aforementioned Tri-Power carburetor setup. Borowski's plan centered around tried-and-true hot-rodding techniques, like reconditioning the connecting rods with new ARP hardware, and a new set of modern aluminum forged pistons with tight piston-to-wall tolerances. The pistons sit in the 4.290-inch bore and combine with the 3.766-inch bore and 6.135-inch stroke to make a final displacement of 435.5 cubic inches--a negligible increase over stock, but enough to clean up the engine's internals. With the original parts in-hand to provide a solid base for the new powerplant, McCaul enlisted his team, led by shop manager Dave Livesey and engine builders John Zapp and Greg Ertman, to determine a course of action for the build. Look at the broad powerband–this beast builds plenty of torque from bottom to top, and Bernstein says it’s a monster with the tall-geared four-speed manual transmission in the car. Reusing the stock block and a set of new forged 7cc-dome AutoTec pistons to set the engine’s compression ratio at 9.3:1 means that the engine is now much more unleaded pump-fuel friendly and tune-tolerant than it was before. Total Seal rings seal, in the combustion pressure. A forged crankshaft was cut .010-inch on the rods and mains to clean it up–in conjunction with the GM truck rods and ARP fasteners, these items will easily handle the power level of the engine’s current configuration. “The original engine didn’t like today’s fuels. I had to put in lead additive octane boost sometimes, and once in a while I’d go to the local station that sells race fuel and fill up. With 123,00 miles on the car, it was time to freshen it up,” says Bernstein. One item where McCaul says the team was able to improve the combination was through careful machining of the cylinder heads using their Newen CNC Seat and Guide machine. In addition, a bit of work was done to blend the port throats into the valve job, and an all-new set of 2.125-inch intake and 1.810-inch exhaust valves were installed to take advantage of the new seat profiles. New camshaft bearings and freeze plugs were installed, and an align-hone was performed to straighten the crankshaft tunnel and clean it up from nearly a half-century of spirited use. 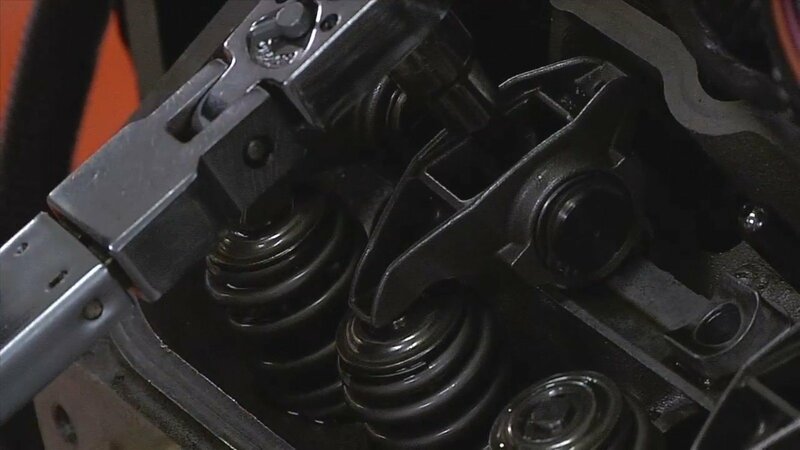 Another improvement was made in the camshaft tunnel, through the use of one of Howards Cams‘ retrofit hydraulic roller camshaft and lifter kits [PN CL120405-08]. The camshaft offers duration of 235/241 degrees at .050-inch and lift figures of .618-inch for both intake and exhaust valves. The camshaft uses a 108-degree lobe separation angle for a nice lumpy idle while retaining solid performance all around. The made-in-the-USA Howards Street Series retrofit hydraulic roller lifters have .842-inch stock-diameter bodies that are .300-inch taller than the factory lifter. This allows them to work properly in the reduced-base-circle camshaft in this retrofit application. The lifters are carbonitrided and tempered to provide hardness, and use a hardened and tempered steel alloy .700-inch-diameter roller wheel for durability. Even after all these years, and thousands of hard miles, you can still eat off the seats in this car. Other components used in the build include a Cloyes Hex-A-Just double-roller timing set, Crane 1.7:1 ratio roller rockers, Clevite main and connecting rod bearings, and a Melling oil pump. 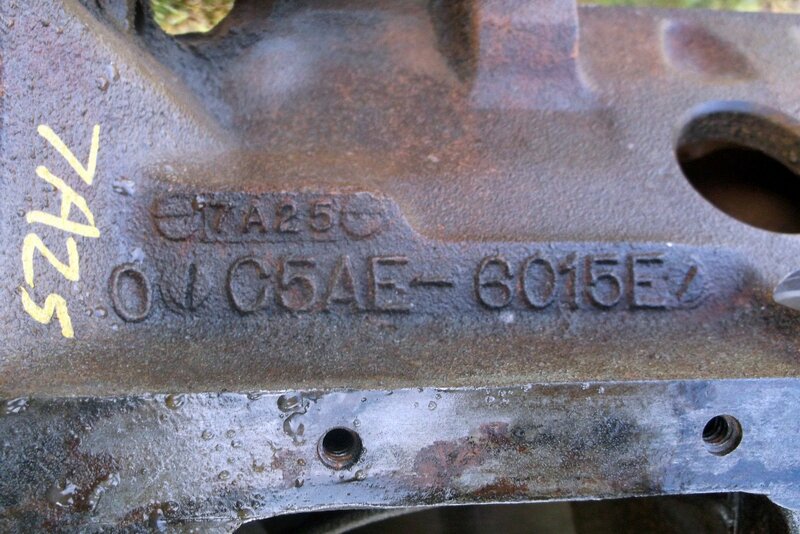 The stock connecting rods were reconditioned, and the engine was outfitted with a full complement of ARP hardware for strength and durability. McCaul says, “We used as much of the original engine as possible, and we were able to make something that looks period-correct but turn it into a modern powerplant on the inside. (Left) A shot of the engine prior to its dyno session. (Right) a close-up of the Tri-Power carb setup. Bernstein purchased a new trio of carburetors to take advantage of the modern seals and machining capability offered. One last challenge for the project centered around tuning the ignition and dialing in the engine’s performance. Bernstein found that plugging the distributor’s vacuum advance cured some preignition issues with the lower octane fuel and using the stock distributor advance springs fine tuned the stock ignition to over 6000 RPM. “In the factory setup, the center carburetor is the primary until you put your foot in it, then the engine vacuum opens up the two secondary carburetors,” says Bernstein. “When this thing is set up and running right, it’s like fuel injection–you’re running a deuce, then you’re running everything. 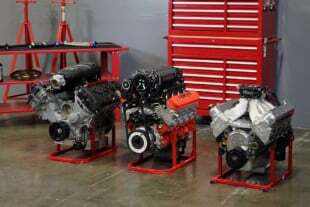 Borowski Race Engines Builds Killer LS3 Nitrous Combo – With Video!